What's The Difference Between Latte and Mocha? - What's Goin' On In The Kitchen? Home » Blog » What’s The Difference Between Latte and Mocha? What’s The Difference Between Latte and Mocha? So I was in Starbucks the other day trying to choose a coffee, and I realized I had no idea what the difference was between a latte and a mocha. I’ve decided to do some research into each of them, and share what I found out for you on my blog so I can help answer some of these questions. Today I’m going to start by answering the question what’s the difference between latte and mocha? So what is the difference between latte and mocha coffee drinks? A latte is made with 1/6 espresso, 4/6 steamed milk and 1/6 foamed milk, while a mocha is 2/5 espresso, 2/5 chocolate and 1/5 steamed milk. A latte is smooth and less strong, whilst a mocha is a stronger coffee with a sweeter, chocolate flavor, usually made with the mocha coffee bean. I hope the above answers your question. It certainly did for me, but I didn’t want to stop there. While the above answer clearly shows me the difference between latte and mocha in terms of ingredients, I wanted to know a little more about some of the other differences, such as tastes, how to make them and some of the variants that exist for each drink. So let’s look a little closer at the differences between these two drinks and how they are made. How is a latte made? This ratio of milk to coffee gives this a much milder flavor, as the coffee is watered down with a larger volume of milk. A regular latte is normally served in an 8 ounce cup, with one shot of espresso, roughly 6 ounces of steamed milk and topped off with a layer of foamed milk. The higher milk content in this drink is important, and is what represents the main difference between latte and mocha coffee drinks. The latte originated in Italy, where it is known as a cafe latte. This literally translates to ‘milk coffee’, so the latte drinker is usually someone who is looking for a silky smooth experience when drinking coffee. This drink offer a smoother coffee experience without the strength of flavor that you would find in a flat white. How is a mocha made? In contrast to the latte, the mocha is a much stronger tasting coffee, but there are some differences in the way that this is made which can cause some confusion. I have been to coffee shops where they simply add chocolate to a latte in order to give it that chocolate taste, but this is absolutely not the correct way to make this, and here is why! So overall just 1/5 of this drink should be made with milk, whereas in a latte 5/6 of the drink is made up of milk. The obvious difference in taste that this provides is that there is a much stronger taste of coffee, with 2/5 of this drink being made with espresso, as opposed to 1/6 espresso in the latte. The type of espresso or coffee bean used in the mocha is also particularly important, and provides a further difference between latte and mocha. The name ‘mocha’ comes from the type of coffee beans that are used to make this drink. The original beans were named after Mocha, a place in Yemen. Today the most commonly used beans are Arabica coffee beans, which come from the Coffea Arabica plant. These beans have what many believe to be a ‘coffee-like’ flavor to them, and should be used to make an authentic mocha. To give the mocha that true coffee taste, as well as using the right kind of coffee bean, a barista will add chocolate to the drink. 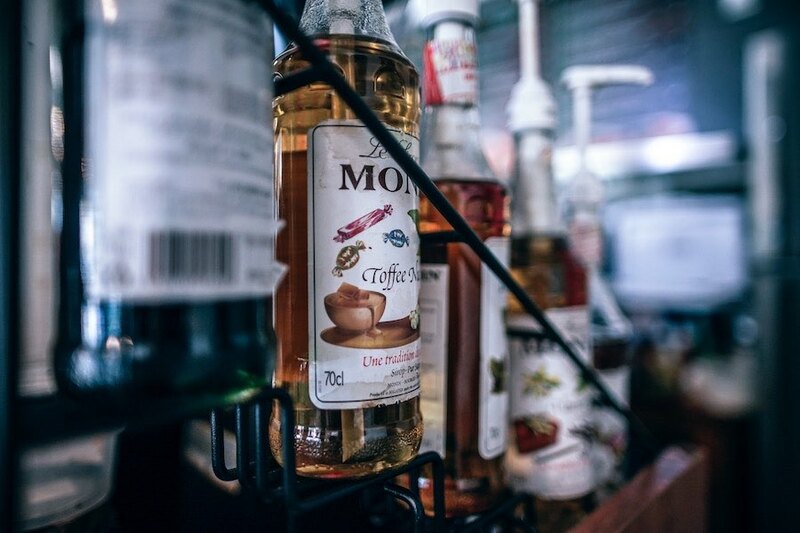 Usually 2/5 of chocolate syrup will be added to the espresso and stirred in to make a coffee-chocolate liqueur, before adding 1/5 steamed milk to the top of the drink. The result of the use of these strong coffee beans mixed with the chocolate syrup is a much stronger tasting coffee than a latte. In fact if made correctly, a mocha should be much stronger than a cappuccino. For those of you who love coffee, and like to make the various kinds at home, the easiest and most likely option is to buy yourself a fancy machine that will make the drink for you. I would absolutely recommend buying something like this machine if you have the money. If this is not an option for you, and you are looking for a cheaper way to make a latte or mocha at home, my step by step guide below will help. Again, like I said above there are plenty of espresso machines that will do this job for you quickly and easily. If you want to do this yourself, then follow this guide below. You will, however, need to buy a few things if you want to do this yourself. Use a coffee grinder to grind your chosen beans. Your coffee beans need to be ground very finely in order for you to get the fullest amount of flavor out of them. As the coffee content is already low in a latte, you need to make sure you get the fullest strength out of your coffee beans. You are then going to use an aeropress and paper filters to brew the espresso using hot water boiled in the kettle. Once this is done you simply have to measure out the required amount in order to make your 1/6 espresso needed for the latte. To make the perfect latte, you are going to need to make both steamed and frothed milk. Steamed milk for this is very easy to make, much easier in fact than the espresso part of the latte. To make your steamed milk simply follow the steps below. For the easiest way to make the frothed milked after this, be sure to measure out the amount you need for both before steaming. Remember it should be 4/6 steamed milk and 1/6 frothed milk. Measure the amount of milk you will need and pour it into a small saucepan. Place the saucepan on top of a hob on your stove and use a thermometer to check the temperature. Heat the milk on a medium temperature to avoid burning the milk. Stir the milk while it is heating up, and once it reaches a temperature of 150 degrees F/65 degrees C, take the saucepan and pour into a cup with your espresso. There are many ways that you can froth your milk for a homemade latte. The version I am describing here is probably the easiest and cheapest. For this you will need a simple frothing wand. As you have already steamed enough milk for both the steamed and frothed parts of your latte, all you need to do is use what is left in the pan. Using the milk left in the saucepan, insert the frothing wand into the milk, about half way should do it. Turn on the wand and slowly raise and lower the wand. Continue raising and lowering the wand slowly for around 30 seconds, or until you can see that you have a pan full of frothed milk. Pour your frothed milk on to the espresso and steamed milk in your cup, and you are ready to drink your homemade latte. Use a coffee grinder to grind your chosen beans. I would suggest using beans that are best suited specifically for making a mocha for that full chocolate taste. Once this is done you simply have to measure out the required amount in order to make your 2/5 espresso needed for the mocha. Once you have brewed your espresso, you are simply going to add your favorite chocolate syrup. There are plenty of these to choose from on Amazon. You can choose from milk, white or dark chocolate, and there even other flavors such as chocolate orange for you to experiment with. Stir the milk while it is heating up, and once it reaches a temperature of 150 degrees F/65 degreesC, take the saucepan and pour into a cup with your espresso and chocolate syrup. What can I add to these drinks to change the flavor? So you’ve made the perfect latte or mocha at home, and want to try mixing things up a bit. What can you now add to these drinks to experiment with the flavors? With the mocha you can choose from milk, white and dark chocolate, along with other chocolate flavors such as a chocolate orange syrup. The possibilities are endless here. If you are really adventurous, you could try adding some 3D art to the top of your latte, using this 3D latte art maker. What is the difference between a latte and a cappucino? 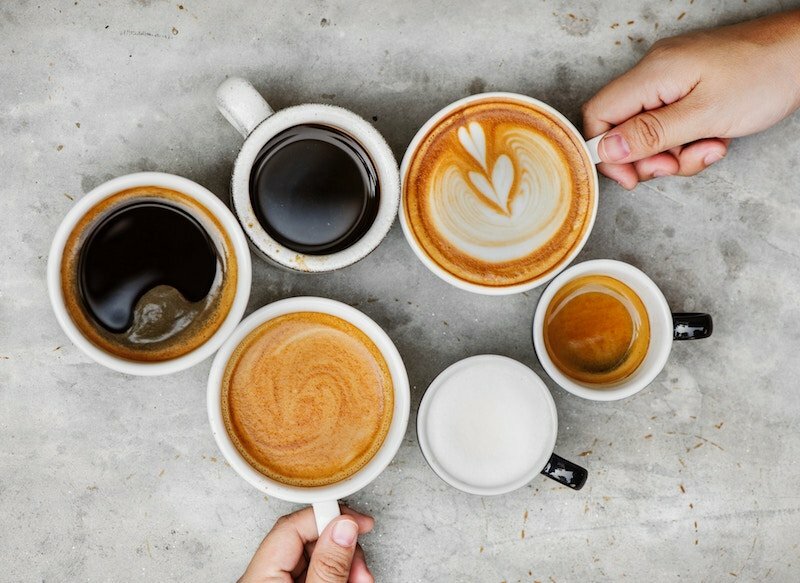 A latte is made with 1/6 espresso, 4/6 steamed milk and 1/6 foamed milk, while a cappuccino is made with 2/6 espresso, 2/6 steamed milk and 2/6 foamed milk. A cappuccino will be much stronger in taste due to the higher coffee to milk ratio. What is the difference between a mocha and a mocha latte? A mocha latte is kind of a hybrid between latte and mocha. Where a mocha is made of 2/5 espresso, 2/5 chocolate and 1/5 steamed milk, a mocha latte is usually made of 1/8 espresso, 5/8 steamed milk, 1/8 foamed milk, 1/8 hot chocolate. This is essentially a latte with a mild chocolate flavor to it. Mochaccino vs mocha. What’s the difference? Another hybrid version, the mochaccino is essentially a cappuccino with the addition of chocolate. Like a cappuccino, this is made of 1/3 espresso, 1/3 steamed milk, 1/3 frothed milk, with the addition of chocolate syrup. Is Avocado Oil Good For High Heat Cooking?